Mercator (UK based freight forwarder) handles shipping both to Canada from the UK and shipping from the UK to Canada. Appointing a freight forwarder to handle your Canada shipping might not be as expensive as you think, and it will certainly take a large workload off of your hands, so you can focus on what you do best. Exporting to Canada can either be done via sea freight or air freight. Sea freight options mostly depart from Liverpool in the UK and call at Montreal and Toronto, which is a short shipping route of around 10-14 days. The east cost of Canada is pretty straight forward and swift to reach via sea freight. The west coast can take longer as the vessel sails via the Panama Canal and will reach Vancouver in around 40 days. The destination port for shipping to Canada will depend on the final destination of your goods. Bear in mind that if your shipment (for example) is destined for Calgary, it might still be cheaper and quicker to ship it to Montreal/Toronto and then truck the goods to Calgary, rather than ship it to Vancouver round the other side of the country. Sea freight shipping to Canada loads include full container loads (FCL – anything from 20’ shipping containers to 40’ high cube), less than container loads (LCL – sometimes called groupage) this is where your shipment (generally advised to be palletised) shares a shipping container with other export shipments to Canada, and oversized cargo containers (flat racks, open top containers and so on). We handle all kinds of cargo and all sizes for export to Canada. Some examples of goods we have previously shipped to Canada include: carpets, aluminium frames, machinery, seeds, coffee capsules and branded packaging. Air freight to Canada takes a matter of hours (plus time for loading, unloading and customs clearance in Canada). There are export air freight to Canada departures from the main London airports daily. Destination airports in Canada include Gander Airport (Newfoundland), Montreal, Toronto and Vancouver. 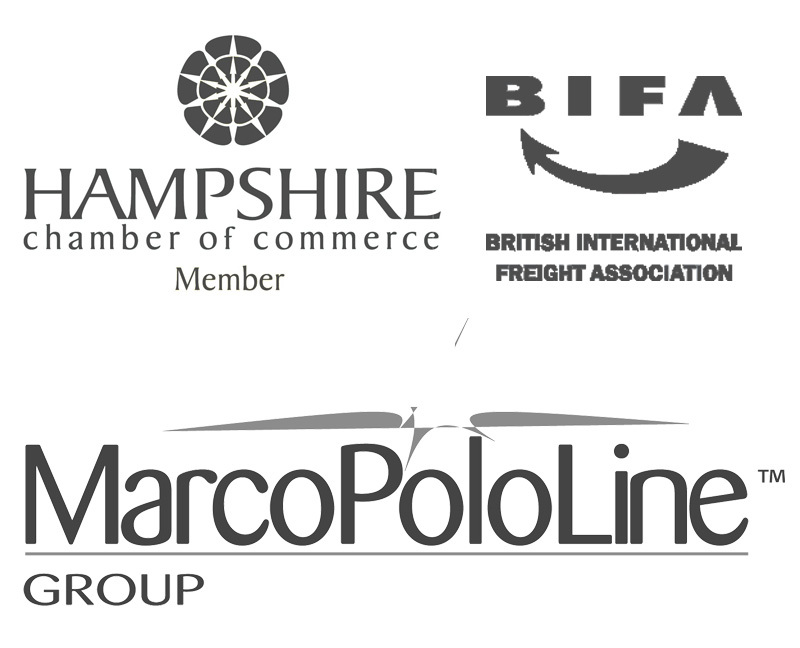 Thanks to our founding membership of the worldwide freight forwarding network MarcoPoloLine, we have a partner agent located in Canada and as such we can offer FULL export services to door in Canada. Our long standing partner agent in Canada will be able to handle the customs clearance and onward delivery for you. We find that our customers appreciate this thorough service as it minimises their workload and increases the effectiveness of the shipment by just having Mercator as the one main point of contact. Our import freight services from Canada to the UK cover every aspect of the shipping process. From collection from your supplier in Canada, delivery to nominated port or airport, air or sea freight from Canada to the UK, UK customs clearance, and delivery to your door in the UK. Our freight forwarding partner agent in Canada will take care of the Canadian side of the shipment, whilst we will arrange the import side: the safe arrival of the goods, any declarations to HMRC, UK customs clearance and trucking to anywhere in the UK. There are sea freight departures weekly from the main ports in Canada – Toronto, Montreal and Vancouver. Transit times from east Canada is between 10 and 14 days, whilst Vancouver to the UK can be around 40 days. Most vessels from Canada will call at Liverpool and London Gateway or Felixstowe. Arrival port will depend on where you are based in the UK (in order to minimise the UK haulage costs where possible). There are daily air freight departures from Canada to the UK, the main airports are Calgary, Ottawa, Toronto, Montreal and Vancouver, which call at the main London airports. Air freight from Canada to the UK is a great deal quicker than sea freight, however it does come at a premium. If you have a large shipment from Canada and you have the luxury of time, you may opt for sea freight in order to reduce your costs. If you are considering purchasing some goods from a supplier in Canada, speak to a freight forwarder before you agree which INCOTERM (you can see more here) you will purchase on especially if you are unsure as to what they mean. The INCOTERM that you agree will affect what part of the shipment you will be responsible for (both for arranging and paying for). It is also worth looking at tariff codes from HMRC, which should give you a guide of the approximate rates of import VAT and duty you will have to pay on the value of the goods you are importing from Canada.